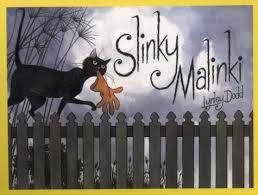 At night to be brief, Slinky Malinki turned into a THIEF! My Slinky is still getting used to her new life here. Like her namesake she seems to come alive at night and this is when she demands attention by nudging and rubbing against us. Of course we haven’t let her go out yet. 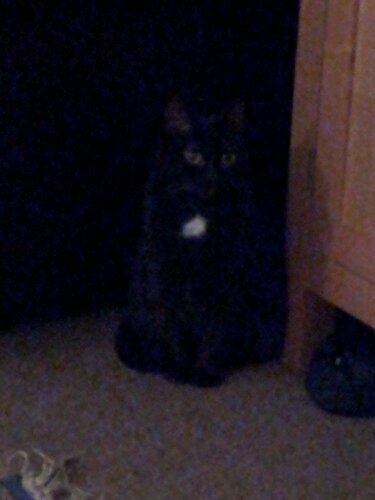 I’m seriously considering keeping her in until after Christmas so she becomes properly accustomed to her new surroundings. I have heard she is a bit of a mouser so who knows what lovely presents she may bring us! Previous PostFrosty Morning.Next PostA Christmas Picnic Bench Afternoon Tea. 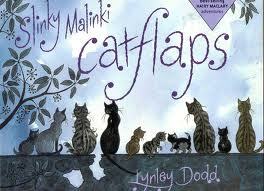 Aw glad to hear your Slinky Malinki has found a good home. We have that book too 🙂 Sorry to hear about Mrs Tibbs. We lost our old collie a couple of weeks ago – he was nearly 16 but it was still a shock and of course we really miss him. Tibbs left a big hole and we really miss her. 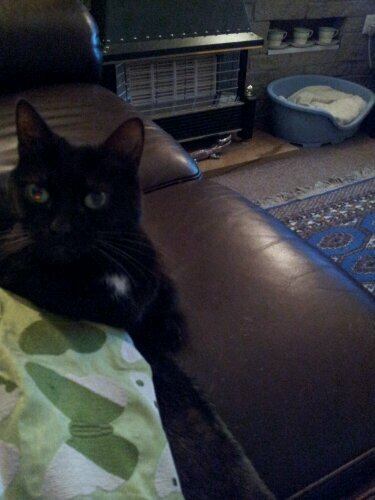 Its nice to have a cat in the house again. Thanks! X it’s hard watching them get old but lots of happy memories. Our other dog seems to be doing ok, she’s getting lots of love and attention to make up for losing her pal. Glad to hear you’ve still got Jake, they’re such wonderful animals aren’t they. Slinky Malinki. When I was a postman I delivered to a Pinky Malonga. Sounded like someone off Bugsy Malone. I want to google that now!